One of the most troubling aspects of the current economic recovery has been the lagging labour market recovery. Since the recession, corporations have been operating on extremely lean cost structures and low employee had counts. 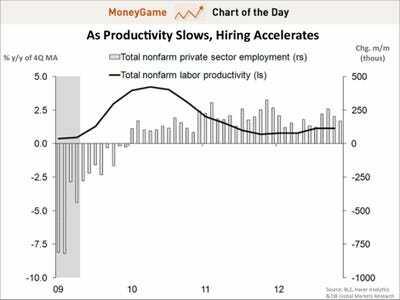 These productivity gains manifested in the form of surging corporate profits on modest revenue gains. 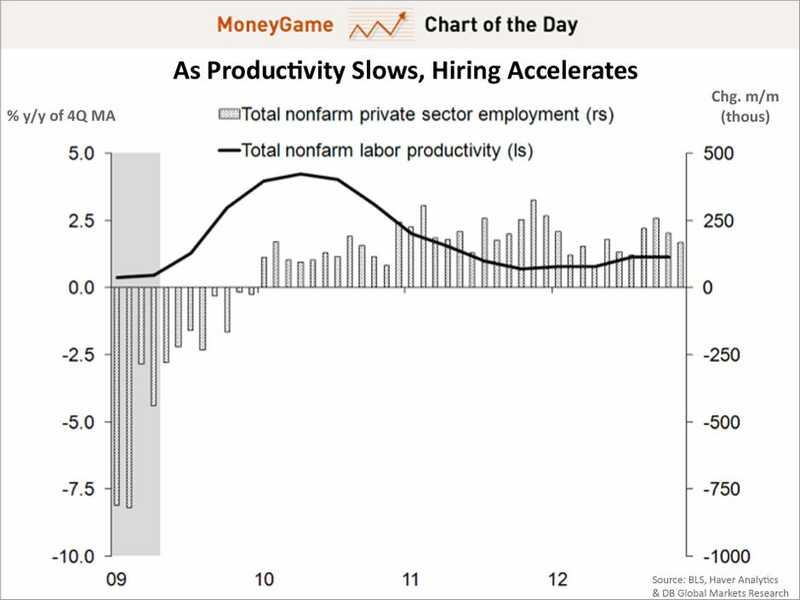 However, the latest economic data suggests productivity gains may have topped out. Deutsche Bank economists Carl Riccadonna and Joseph LaVorgna write that this is good news for hiring.